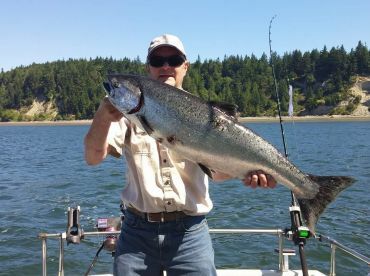 Spend a little time fishing in Seattle, Washington and experience some of the finest angling the Pacific Northwest has in store. Many know this city for its legendary coffee houses, but there’s plenty of other ways to get your adrenaline pumping around here. From Steelhead Trout in the mountain streams to the Salmon in Puget Sound, there’s no shortage of hard-fighting fish to rival that extra shot of espresso in your system. 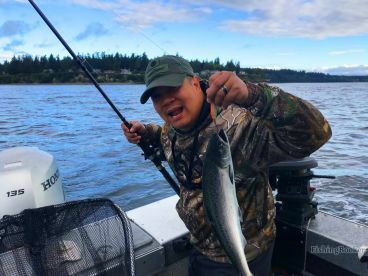 Chinook (King) and Coho (Silver) Salmon are local favorites in these waters, and nothing sums up a Seattle fishing experience like the winter Chinook season. 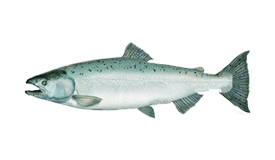 The action kicks off with juvenile Chinook, also called “Blackmouth Salmon.” Blackmouths feed in Puget Sound all year, but locals usually start fishing for them around mid-October and revel in their peak season from November through January. The Salmon fishing Seattle has to offer goes far beyond the winter season. Mature Chinook return to Puget Sound from mid June through August, peaking toward the end of the season. 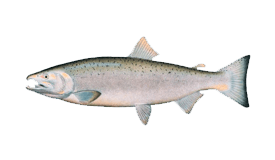 Coho are close behind, entering in July and staying through September. These late summer months mark the very best of Puget Sound’s Salmon fishing. In odd years, Pink Salmon return in extremely high numbers for a brief period between August and mid September. When the Salmon season closes (usually for a few months in spring and early summer), many charter operators in Seattle turn their attention toward bottom fishing. The season for Lingcod and Cabezon opens in May, just in time to fill the gap left behind by Salmon. 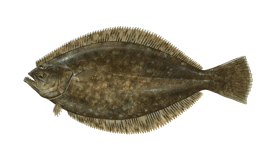 Flounder (“Sand Dabs” or “Flatfish”) is open to harvest year-round, with the best fishing available between May and October. In autumn, you can add Dungeness Crab to your list. For the freshwater angler, even more possibilities await in the lakes and rivers surrounding Seattle. Summer sees Bass, Carp, Crappie, Bluegill, and Panfish, while Sturgeon, Steelhead, and Salmon present non-stop action all year. Freshwater fishing could take you anywhere from 10 minutes north of downtown Seattle to hundreds of miles away. 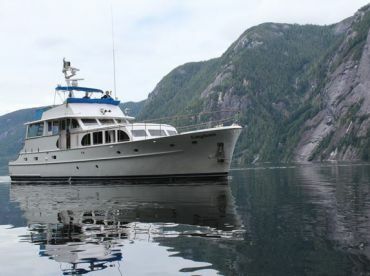 Many Seattle fishing charters head straight into Puget Sound. Surrounded by the majestic Olympic Mountains, the protected waters of the sound offer smooth sailing and an abundant year-round fishery. Some of the most productive spots are just minutes from the dock, typically no more than 10 miles out. With over 1,500 miles of shoreline, the sound presents plenty of opportunities for the fly fishers in search of Salmon and Cutthroat Trout. Come autumn, Puget Sound is bustling with anglers who travel from far and wide for a chance to hook into Seattle’s winter Chinook season. In particular, they’re after the legendary Blackmouths. These bad boys are iconic when it comes to winter fishing in these parts, causing enough excitement to rival the Steelhead (Washington’s official state fish). Families and first-time anglers can find more relaxed—but just as exciting—opportunities at the bottom of the sound. Local Flounder are plentiful here, and it’s not uncommon for anglers to reel in 50-100 of this Flatfish in a couple of hours. This fish is easy to catch and offers fast-paced action, which makes bottom fishing in Puget Sound a great introduction for children. Both accessible and highly productive, Elliot Bay is one of the best fishing spots in Seattle. If you’re eager to test the waters before heading out on a charter, this is the place to do it--right along the city waterfront. Pier 86 comes highly recommended, featuring a 400-foot fishing pier and a chance to hook into Skate, Salmon, Perch, Sablefish, and a variety of Flatfish and Rockfish species. Two of the most popular freshwater fishing holes around Seattle are Green Lake and Lake Washington. Lake Washington sits directly east of downtown, stretching 20 miles from end-to-end. One of the best spots on the lake is the Reverend Murphy Fishing Pier by Seward Park. You can cast lines here anytime for over 40 different species, including Trout, Salmon, and Bass. Green Lake is a much smaller fishing hole directly north of downtown. This hot spot holds up to the fishing pressure remarkably well, with enough water for local Trout to hide and grow in size while anglers reel in Carp, Catfish, and Rock Bass. The fish in this lake aren’t the biggest you’ll ever see, but there’s still plenty of fun to be had while catching 14-16 inch Rainbow and Brown Trout. 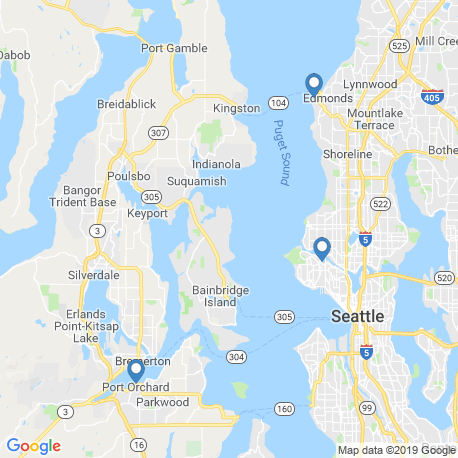 If you’re looking to step it up a notch, look for a Seattle fishing guide who will take you to Riffe Lake, Silver Lake, or Mayfield Lake, more than 100 miles away. These waters are known for some of the best freshwater fishing in Washington and Oregon. River fishing will take you well beyond Seattle’s city limits, often hundreds of miles outside of town. Local guides meet anglers at various boat launches scattered throughout southern Washington and Oregon based on where the bite is best that week. Popular destinations include the Yakima, Cle Elum, Columbia, Cowlitz, and Willamette Rivers. These waters boast year-round opportunities for the light tackle and fly angler, with scores of Salmon, Steelhead, Sturgeon, and Cutthroat Trout. River Salmon runs are divided into spring, summer, and fall. It’s common to troll for Salmon while deep sea fishing in Seattle. You can catch winter Chinook by trolling near the bottom in 100-130 feet of water. Baits include Herring or lures like plastic Squids, spoons, and plugs. Another popular Salmon fishing technique in Seattle is "mooching," a form of drift fishing which involves holding the rod in your hands so that you feel the bite the moment the fish strikes. Drifting and bottom fishing produce Flounder, Lingcod, Cabezon, and other species near the seafloor. Anglers often target Lingcod in areas with high currents by drift fishing with live bait. Fly fishing in Seattle is a fantastic way to catch Salmon, Steelhead, and Trout. A 5-6 wt rod and streamer, dry fly, and nymphing tactics will help you catch Cutthroat and Rainbow Trout. You can use a 6-8 wt two handed spey rod for Steelhead. When targeting Trout in the lakes, you can rely on chironomid patterns in small sizes. Try trolling dark Woolly Buggers, especially black or green. Black or white Woolly Worms produce Largemouth Bass. Seattle fishing charters and guides do not provide fishing licenses for their customers. Anglers age 16 and older can purchase a WA state fishing license online. A single day license for freshwater or saltwater fishing is just over $10 for residents and around $20 for non-residents (prices subject to change). Though many species are present in Puget Sound and the surrounding waters year-round, you cannot always fish for them. The season for Salmon typically closes for a few months in late spring or early summer. 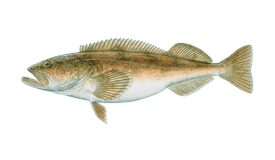 Lingcod are usually open to harvest from May through mid-June. Regulations change annually, so be sure to ask your guide what’s available ahead of time or stay up to date online. Size and bag limits may apply to certain target species. Ring in the new year with bragging rights to one of Seattle’s hardest-fighting trophies: winter “Blackmouth” Salmon. The peak season for this fish is just getting underway, so grab a hot cup of joe and have at it! Temperatures hover between 38 and 51°F in February. Bundle up and head out on the water—if the Salmon are biting, chances are you’ll work up a sweat in no time. Winter Chinook are still biting vigorously in early spring. For more variety, try your luck with Flounder and Squid or head to the lakes and rivers for Trout, Bass, and more. Average temperatures are on the rise, reaching up to 59°F on a good day. Meanwhile, the winter Chinook season is winding down. In most years, Seattle’s Salmon are closed to harvest by the end of the month. Salmon may be off the menu in May, but some new opportunities are opening up. Lingcod and Rockfish are open to harvest, joining Flounder just in time for the summer bottom fishing frenzy. With average temperatures reaching as high as 70°F, it’s a great time to be out on the water. The season for Lingcod is short and sweet here in Seattle, usually closing half way through the month. Chinook and Coho Salmon are back on the scene in Puget Sound, followed by Pink Salmon in odd years. Fishing for these prizes may only be catch and release, depending on the year and regulations. You’ll find great fishing everywhere you turn in August. Treat your family to an outing on the sound or test your fly fishing skills in the rivers. With only a few days of rain on the forecast, be sure to take advantage of this weather! Coho Salmon reach their peak in September. Dungeness Crab is open to harvest until Labor Day, giving you all the more reason to see what’s biting at the bottom. 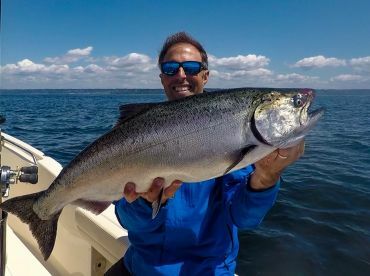 Coho Salmon are still biting in the sound, and anglers will have their eyes on Blackmouths toward the end of the month. The peak season for lake fishing has passed, but there’s plenty of time to catch fall Salmon in the rivers. The winter Chinook season is underway, with Blackmouth Salmon taking center stage in Puget Sound. You can expect lots of rain and even more excitement as anglers flock to the sound for this iconic Salmon season. Seattle’s charter boats are still running at full throttle in winter. Those who can brave the rain and the cold are eager to get in on this epic winter Salmon fishery.